Perhaps you’ve seen the Six Songs of Me website that asks people to make playlists about songs that have shaped their lives. I’ve decided to post my own playlist here with personal commentary. Strangely, I can’t really remember buying any music for myself with my own money until the early ’90s and I can’t remember the first music I purchased. I was blissfully unaware of what was considered popular or cool. Up to that point I listened mostly to what my parents, specifically my mom, did. That tended to be a lot of r&b and pop. The very first music I can ever remember hearing was Christmas music. 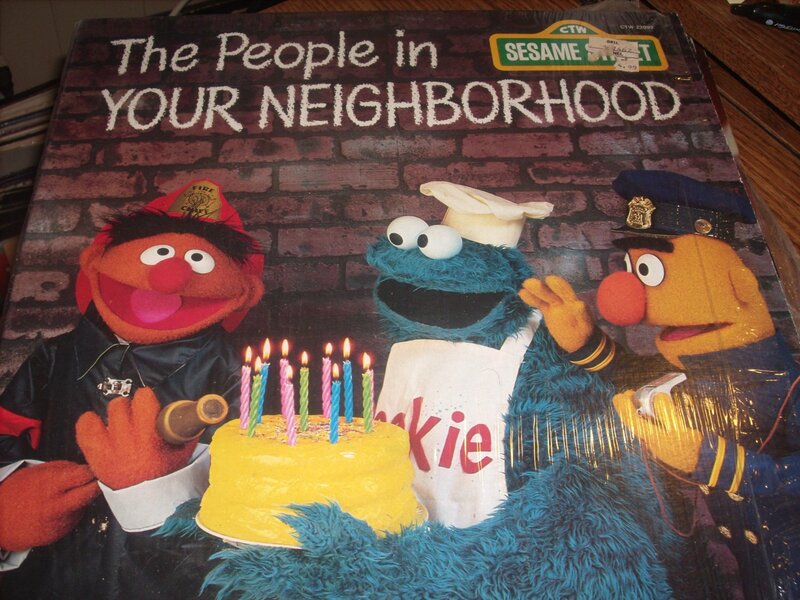 I suspect the first albums ever purchased specifically for me were various Sesame Street records. I had a Fisher Price record player that I would plug in, and I would lay down on the carpet and put those records on again and again. I particularly loved the one about the birthday party. It was my birthday EVERY SINGLE DAY. I believe I heard the Diana Ross version of this song first, but I love Marvin and Tammi’s rendition the best. What an incredible song of devotion. The marriage of their voices, interweaving and calling out, with a feel-good groove always gets to me. You can’t help but sing along. I remember sitting in the backseat listening to this as my mother drove. This song has a delightful innocence. I still jam along with the sweet Ms. Mills. It takes me back to a time when I wasn’t jaded. I suppose that this is an odd choice for a love song since it’s a break-up tune. That said, just about everybody can relate to the yearning and loneliness expressed in this ballad. Lyrically, there isn’t a wasted word here. Diane Warren has written a lot of hits, many bigger than this one, but this is my favorite. The harmonies are gorgeous and the little catch in lead vocalist Jeanette Jurado’s voice at the end is sheer perfection. She speaks for anyone who’s ever had a wounded heart. The great thing about this song is we know that she will eventually get over this heartbreak – and so does she, even if she isn’t quite ready to admit it yet. I hope I get to heaven. There are days when I feel like I absolutely don’t deserve to go. Actually, I know I don’t – that’s why grace exists. This song about a woman’s walk with God from childhood to everlasting life is amazing. At the end, let me call Him by name, love Him, and mean it. 6. Time for the encore. One last song that makes you, you. And where I am now.